Toxic combination of cost inflation, a stagnant economy, the fluctuating pound … and Brexit has forced the UK tissue sector, like many other producers, to look for savings elsewhere. 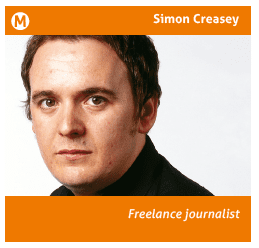 Report by freelance journalist Simon Creasey. The UK tissue sector is enduring a turbulent period thanks to the combination of rising pulp prices and wild fluctuations in the value of the pound, which has sent shockwaves through the sector. The situation is so severe that in early October, tissue manufacturer Accrol had to suspend trading of its shares on AIM and issued a profit warning due to rising costs. There have also been a growing number of examples of ‘shrinkflation’ in the sector as tissue manufacturers have resorted to reengineering products to make them smaller while at the same time trying to retain the original price point. So how did this situation come about and what does the future outlook for the UK tissue sector look like? Over the last few years it’s fair to say that the sector has fared fairly well on the back of low pulp prices and products imported from overseas that were bought by a relatively strong pound from euro or dollar regions. And then Brexit occurred and things took a turn for the worse. Although a lot of people point to that decision as the root cause of the shifts currently affecting the sector, the market had starting to decline thanks to different factors, including the rising price of pulp. “Tissue manufacturers believed they could ride out the storm because the industry has always been cyclical,” says Paul Fecher, chairman at Northwood Paper Sales & Associated Companies. “Month by month the reality was there for everyone to see, but no one was interested in looking because the picture was too horrible. Fecher says the squeeze was really put on the sector in the first two quarters of this year, with the fallout from all of this inflationary pressure slowly revealing itself. “What we’ve seen in the last three months is a tightening of supply and closing of machinery in the UK,” he explains. While rising pulp prices are problematic enough in their own right, the added complexity caused by the fluctuating value of the pound has created the biggest challenge for the sector, according to Khalid Saifullah, managing director at tissue manufacturer Star Tissue. “I know some people in the trade who hedged at a bad rate as they thought it was going to go down even further,” says Saifullah. “You also had some people who missed the boat and some panic bought. This then stuck because for the next three months they had to buy paper at silly prices because they had bought at €1.07 and a week later it’s €1.12 and then two weeks later it’s €1.18 then it goes back to €1.07. One way companies are adjusting is by effectively shrinking their products in the same way that brand owners in other product categories have done. Earlier this year data from the UK’s Office for National Statistics (ONS) showed that 19 sheets had been cut from rolls of Andrex since 2012. Brand owner Kimberly-Clark declined to comment for this article, but in a statement to UK trade magazine The Grocer earlier this year confirmed it had made cuts so that it could invest in its UK factories for the production of Andrex Classic Clean range and improve the way these products are made. According to tissue sector experts it’s not the only brand that has gone down this route to date and nor will it be the last –unfortunately Accrol, Sofidel, Essity all declined to comment on this issue. Some tissue companies appear to have successfully passed these prices onto their retail customers judging by the latest retail sales data. “The toilet tissue sector is on average 2% more expensive across 85 stock keeping units (SKUs) than last year following big hikes on branded lines (source: Brandview 52 w/e 25 July 2017),” says Oday Abbosh, chief executive of Better All Round, which sells the Ora brand of household towel. But these increases couldn’t have come through at a worse time, with UK inflation hitting 3% in October and uncertainty around Brexit hitting consumer confidence hard. Inevitably those businesses that have put in place plans to mitigate the side effects of inflationary pressures will ride this storm out better than others. “We’ve focused on making good products and investing in machines and automation to make ourselves as lean as possible,” says Saifullah. So much so that Saifullah quips “we’ve got a manufacturing manager and a sales manager – I almost think we need a currency manager who just watches the screens (showing currency market activity) as that might give us more savings”. Despite putting measures in place to make his business more competitive Saifullah concedes that it doesn’t mean it’s immune from political and currency market volatility, which is beyond the company’s control. That said, Star Tissue has enjoyed growth of 15% this year largely thanks to the Brexit factor, claims Saifullah. Additionally, a potential future benefit of Brexit is that the UK would become less reliant on imports of tissue products from overseas. “It might lead to further investment in the UK because the UK is a net importer of tissue at the moment, but there is a strong business case now to say why don’t we make more of our own tissue,” says Saifullah. He even envisages a scenario where European paper mills could expand their operations in the UK as they look to capitalise on the prospect of consumers increasingly buying products manufactured domestically. “One in seven consumers are saying they are more likely to buy British as a result of last June’s referendum (source: Buying British Report 2017),” says Oday. While price inflation shows little sign of slowing and while we know there are inevitably going to be a series of further hurdles put in front of the UK tissue sector as the full impact of Brexit becomes clearer, these issues are not insurmountable, according to Saifullah. Those businesses that act now are the ones that will emerge from the current turmoil in a stronger position. Share the post "Shrinkflation – reducing product size becomes an issue for tissue"